Meet the team who are here to help you throughout your stay. 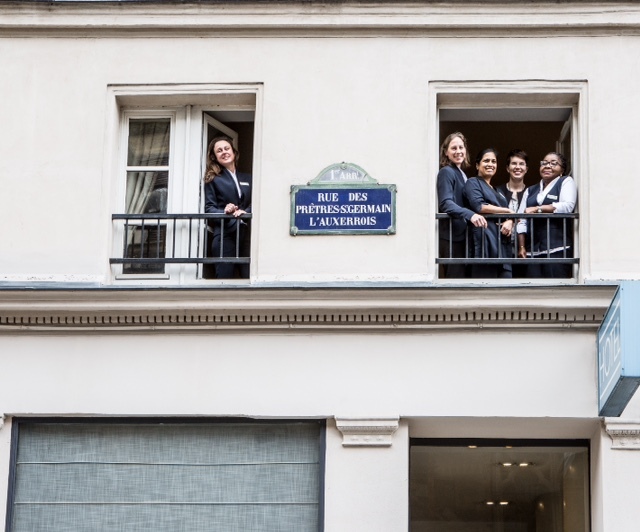 Hélène, Marie-Claude, Bonaventure, Chandima … The 8 team members at Hôtel de la Place du Louvre give their all to provide you with the best service during your stay. We are proud that 94% of our clients were very satisfied with our service in 2017 (source: Qualitelis). The small but perfectly formed hotel means we can give our clients a warm and genuine welcome and ensure they have everything they need. What are the core values in terms of service at Hôtel De la Place du Louvre? Availability, responsiveness, generosity and attention to detail are the core values that fuel us at all times to provide service that exceeds our clients' expectations. Tell us about a story that made you proud of your team. There's no one story but rather my everyday experience gives me pride in the emotions we share when we give our clients a time to remember in our home. Two adjectives to describe the team's state of mind? A professional and friendly team that do their utmost to keep our clients happy.